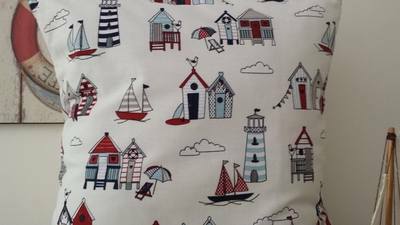 The front is a gorgeous 100% cotton blend fabric with a cream background and navy & red beach huts and boats. 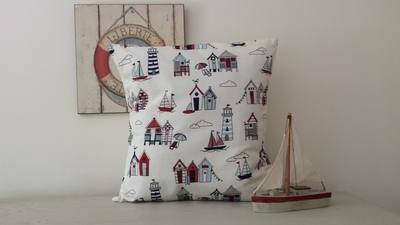 All seams are overlocked to prevent fraying and add strength. 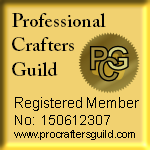 Cover Size approx 16" square.